There are some things you should never say to a woman. Some men get it. Some women don’t. It’s the age-old social etiquette that you should have learned at least by early adulthood. Never say anything about a woman’s weight. If you see her as too fat, too skinny, too thick, or too thin, keep your thoughts to yourself. Don’t remind her of what size she used to be if she’s a few pounds heavier. That could tip her emotional scale and she just might give you the skinny on where you can go. If it looks like she’s pregnant, don’t comment until you’ve confirmed that she is expecting. Allow her to freely share that information. Just wait for her to say something about getting the nursery ready or being excited about her bundle of joy. Never assume that she is pregnant, even it she appears to be. An inappropriate comment could give birth to total embarrassment. If a woman looks older than her actual age, just merely make that observation. Never say what age she looks to be. There’s a website that has taken on that task. 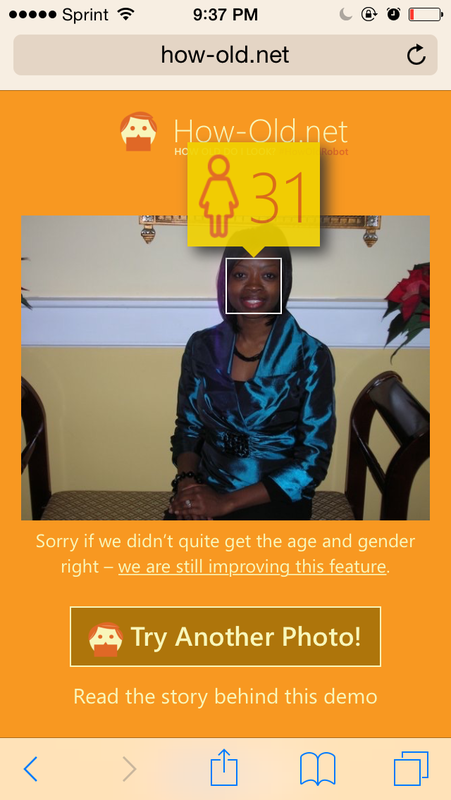 This time you volunteer to either be disappointed or excited about the age how-old.net guesses you are. Yes, there’s a website that guesses your age. Microsoft created the site and introduced it at a developer conference last week. 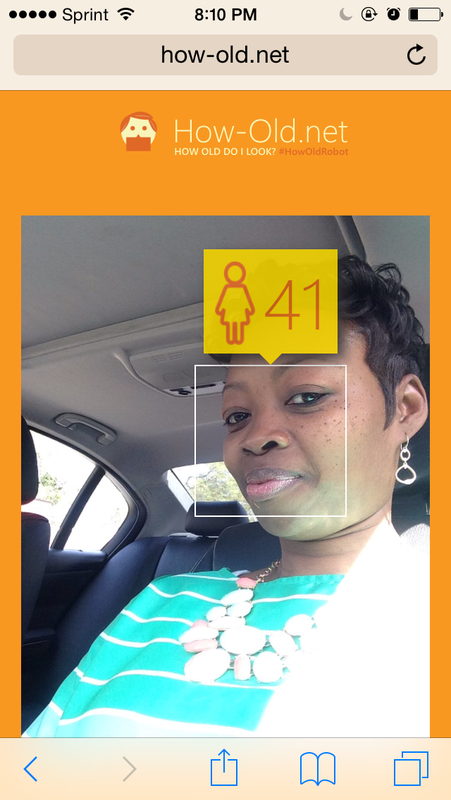 All you have to do is upload a photo, and voila, the site will tell you how old you look. Everyone likes for their ego to be stroked every now and then, so I confidently uploaded an image thinking it would say I was significantly younger. I guess that was wishful thinking on my part because the guesses were right in the ballpark. One of the guesses was put me over 40. (Eek!) I uploaded several photos because I was counting on a guess of 28, 29 or 30. Not so! Interestingly enough, I got a different age each time I uploaded an image. I have to give the site credit for being polite. It apologizes if it doesn’t quite get the age and gender right. If you can handle a little humor, give it a try. 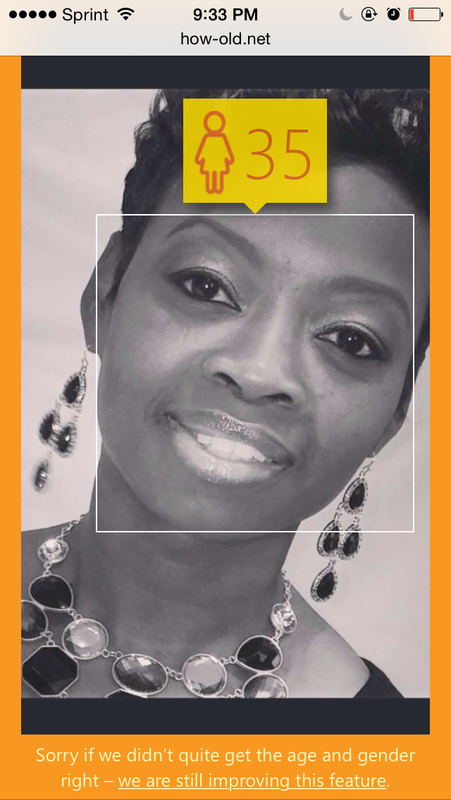 Tell us what age it guessed for you. This entry was posted in Activities, Advice, Chaunte McClure, Women and tagged Chaunte McClure, Columbia, every woman blog, guess how old, how-old.net, lexington medical center., Midlands, South Carolina by lexingtonmedicalcenter. Bookmark the permalink.